Australian visitors to Canada who came to paddle and race with us. We will paddle throughout the Summer, entering races at least once a month, and finishing with one of the most fun events on Thanksgiving weekend, Saturday October 8th – the Ft. Langley Cranberry Festival Canoe Regatta. You don't have to paddle every race. Pick and choose where and when you want to race. – but race events are limited to 24 paddlers + drummer + steers. sits more than one race (unless they choose, or special circumstances). $110 Team registration includes practices, boat rental, coaching + equipment. And we have student prices! and Lotus Regatta in Burnaby is $500. one day regattas are usually only 3 races. and welcoming back our veteran paddlers. Everybody has such a great positive spirit. 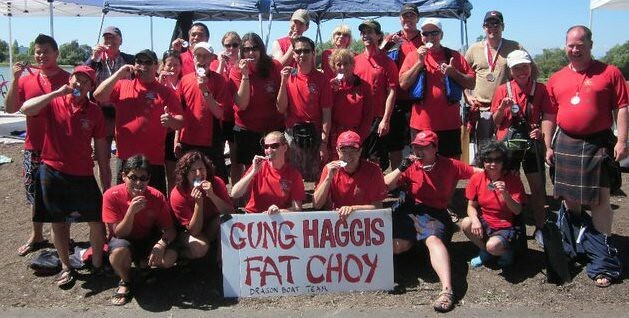 Gung Haggis Fat Choy paddlers bite their silver medals at Richmond Dragon Boat Festival – 2nd place overall, and 1st in the steering challenge race. This entry was posted in Dragon Boat Information, Dragon Boat photos 2003, Dragon boat with Todd Wong - Dragon Boat Coach, Gung Haggis dragon boat team information, Main Page on April 25, 2011 by Todd. paddlers tried to grab the hanging bunnies! But as the dragon boat passed under the seawalk outlook, and paddlers grabbed at the chocolate bunnies, it was noticed that one of the bunnies was not on the end of his tape! Lead stroke Debbie, spotted a shiny gold bunny floating toward the centre of the creek. “Let's go get the bunny!” somebody shouted. And just like that, people started paddling! The boat quickly approached the floating bunny, and Debbie was able to scoop it up. 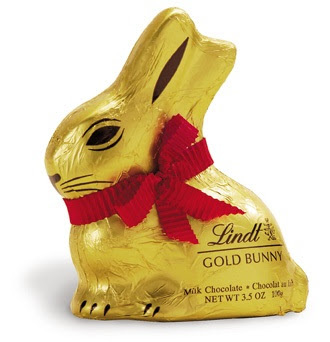 But wait… there was still one little gold bunny flapping at the end of tape, under the outlook. “Let's go back and grab the last bunny,” I shouted to the team. Our steers person Guillaume, swung the boat around, and the team paddled again under the seawalk outlook. They grabbed the tape, and the remaining bunny. Mission accomplished. Now on with the dragon boat practice, after our fun warm up. We did our normal practice drills for reach and rotation. We paddled left side and lead strokes, then right side and lead strokes, to help paddlers get focused on following the lead stroke on the opposite side from them. We paddled with veterans only, so new paddlers could see good technique demonstrated, and keep our veteran paddlers setting good role modeling. Over at the bay beside David Lam Park, we practiced starts. We went back and forth, starting with 3 strokes only, then building up to a 6-12 start. 6 slow strokes to get the boat moving, followed by 6 medium strokes, and finally 6 fast strokes to bring the boat up to plane. Good job everybody. Then we paddled over to Alder Bay, behind Granville Island. We docked the boat and took a walk over to a restaurant for hot chocolates and coffees, and to stretch our legs. It was a special treat on a holiday weekend, that we try to make practice a little more fun for paddlers. It's an Easter Egg hung for the Gung Haggis dragon boat team Easter Sunday practice! have a paddle practice this Sunday for the Gung Haggis dragon boat team practice, and combine it with an Easter Egg Hunt. quick cardio and stretching for warm-up for 10 minutes. but some people really want to paddle. 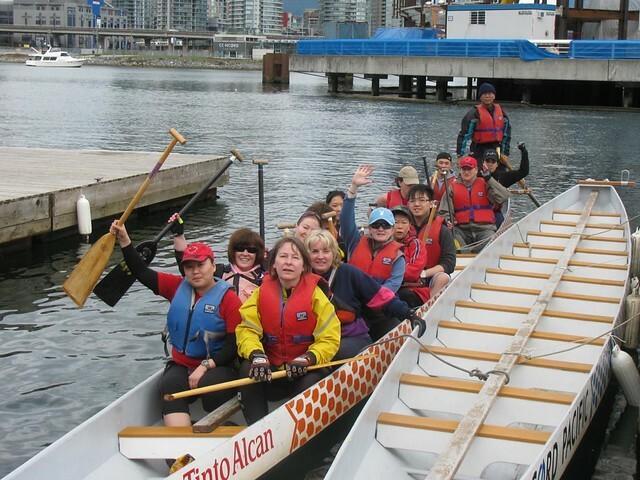 Granville Island – We will paddle to Alder Bay, and stretch our legs. now… it is time to get more from your paddle. How to be an effective paddler with paddle position. We have had 13 Veteran paddlers + 3 2nd year paddlers who were new last year + 2 paddlers who did Junior dragon boats before. New to dragon boating this year have been 15 people, 5 of whom are from France. 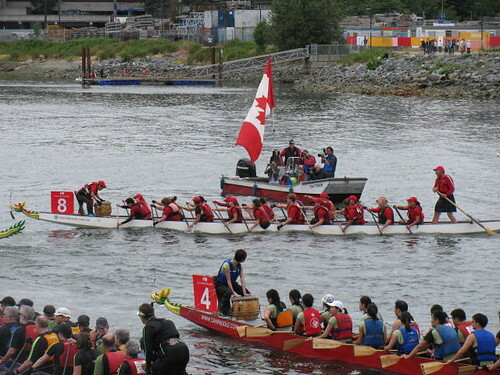 – the Ft. Langley Cranberry Festival Canoe Regatta. $110 Team registration includes practices, boat rental, coaching + equipment. we will have a strong team for 2011.
which actually started in 2002 under then name Celebration. In 2010, we placed Rec B @ Rio Tinto Alcan DB Festival and won silver in Senior B. We went to Banff and won silver in C division. We placed 2 teams in the A Finals at Ft. Langley. You don't have to paddle every race. Pick and choose where and when you want to race. This entry was posted in Dragon Boat Information, Dragon Boat photos 2003, Dragon boat with Todd Wong - Dragon Boat Coach, Gung Haggis dragon boat team information, Main Page on April 24, 2011 by Todd. 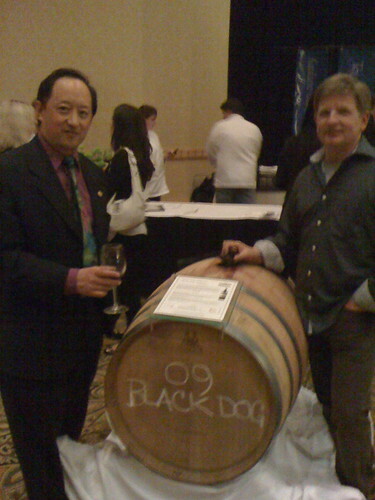 Naramata Bench Wineries Spring launch at Vancouver's Bayshore Hotel… yum yum! Winery, La Frenz Winery, Lake Breeze Vineyards. Vij's, Adesso Bistro, Kitsilano Daily Kitchen, The District. Breast, Bacon Pear Chutney with Peppered Raspberry Vinagrette. with Crisp Parnship and Blackberry Gel until the end of the evening. cherry Wine – from the cask! Surprise! Anthony was serving us wine from the Perseus Winery booth. He shared that he is 1/8 Chinese + Indonesian, Portuguese and Spanish. He hadn't heard of Gung Haggis Fat Choy, but loved the idea of cultural cuisine fusion. BIG SURPRISE! We discovered that Howling Bluffs owner Adam Smith loves Gung Haggis Fat Choy. He shared with us that his daughter is half Chinese, and they love the Chinese-Scottish fusion of our event. We exchanged phone numbers, and hope to get together to plan some events together. This entry was posted in Food & Restaurants, Main Page on April 22, 2011 by Todd. BC history is filled with characters who pushed for a “White Man's Province” such as the political leaders who wanted to charge the Chinese head tax, and created the 1927 Chinese Exclusion Act, all the way up to Premier Duff Pattulo who wanted to keep Canadian born Asians out of the WW2 armed forces, because he knew the next step would be giving Chinese-Canadians the vote. The recent NDP and Liberal leadership races saw Christy Clark and Adrian Dix emerge victorious from their serious challengers of Kevin Falcon, Mike de Jong, and George Abbott for the Liberals; and Mike Farnsworth, John Horgan, Dana Larson and Nicholas Simons for the NDP. Multicultural understanding is important because without it, we don't have cultural equality in society. Without respect for different cultures, society become mono-culture. This was British Columbia during the 1908 Anti-Asiatic riots in Chinatown and Japantown. This was BC that created the anti-potlatch law and put all First Nations children in Residential schools. This was BC during the internment of Japanese Canadians during World War II. This was BC, when Canada created the laws that only permitted direct passage to Canada, making it impossible for people to travel directly from India, hence the Komagata Maru incident. Being a great leader isn't just about being multicultural. But I think that a great leader must understand multiculturalism. Afterall, the great civilizations have always placed great importance in trade and knowledge. It has been the death of civilizations to close themselves to the outside world, and insulate themselves in their own ethnocentricity. In the past years, we have even seen former Premier Gordon Campbell change his tune from working against First Nations to working together. He also asked me how soon did I think Vancouver would have a Mayor of Chinese ancestry. I told him it would be just a matter of time, since Kamloops had Peter Wing, the first Chinese Canadian mayor in Canada in the 1960's, and Victoria recently had Mayor Allan Lowe. Horgan and Dix have talked about their Irish ancestry. Horgan says he “can talk anything with anybody”, and Dix said his father was born in Dublin. Horgan also received endorsement from fellow Irish/Scots Burnaby mayor Derrick Corrigan and his MLA wife Kathy Corrigan. Christy Clark attended the University of Edinburgh and named her son Hamish. But it has been harder to find out ancestral backgrounds for some of the other candidates. Multicultural issues are increasingly inclusive of Gay Lesbian cultures too. MP Libby Davies and MLA Mable Elmore were big supporters of Adrian Dix. It's good that in today's society, a candidate's gender preference or race is no longer an issue in the media. Much has been written about Dix's connections to the South Asian community. MLA's Harry Bains and Raj Chouhan are leaders in the South Asian and Labour communities and were quick to endorse Dix. Going into the last week, MLA Jenny Kwan endorsed Mike Farnsworth. But it isn't just who you know that makes you multicultural, it's how you live your life. is the first MLA to have a Vietnamese speaking constituency assistant. death of Vietnamese workers at a Fraser Valley mushroom farm, and took his assistant with him to help translate. I also heard Raj Chouhan speak on this event at the BC Federation of Labour conference, because Chouhan had been the founding president of the Canadian Farmworkers' Union. Most importantly, Dix's wife is of South Asian ancestry. Rennee Saklikar is a wonderful woman, whom I liked immediately when I first met her. She complimented me on my Gung Haggis Fat Choy activities, and we have crossed paths in literary communities. She is a poet and this weekend, she shared with me that her poem “June 1981” has been nominated for poem of the year for Descant Magazine. They have known each other a long time, and it is impossible not to share each other's cultures and perspectives. Because of this, I am sure that Dix is also affected by the Air India bombing of June 1985, because Saklikar's aunt and uncle were lost on that flight. When families become interconnected, we become part of each other's culture and history. In the same way, that I have met so many people of both Scottish, and Chinese ancestry, or both combined – it is acknowledged that all the guests who come to a Gung Haggis Fat Choy Robbie Burns Chinese New Year Dinner, are part of our multicultural family now. Dix is known as an intelligent and sharp critic – one of the opposition stars in Carole James' shadow cabinet. While I had hoped that Carole James could fulfill my vision of a Dougals-like premier, with her Metis and Scottish ancestry, as well as her compassion for inclusion and human rights, it looks like Dix is the man who might best exemplify the qualities of Sir James Douglas. With Dix's reputation as the hardest working member of the NDP, and his commitment to close the gap between rich and poor, to make health care more accessible, to stop closing schools and maintain student teacher ratios, to look after the environment…. and his “cultural literacy”- he may well be the person most likely to fill the shoes and multicultural vision of Sir James Douglas. No kilt – but here is Adrian Dix participating in the Fiji Festival last summer, wearing a green grass skirt. Second from left is Burnaby mayor Derek Corrigan, and in red is Burnaby MLA Kathy Corrigan. photo by Patrick Tam, Flunging Pictures. This entry was posted in Commentaries, Cultural Fusion, Main Page, Multicultural events, politics and politicians on April 19, 2011 by Todd. Some people are participating in the Sun Run and won't be joining us. So it is the perfect time to bring new friends, and I will do some one-to-one coaching with new and experienced paddlers. We need to have a roster signed up quickly. 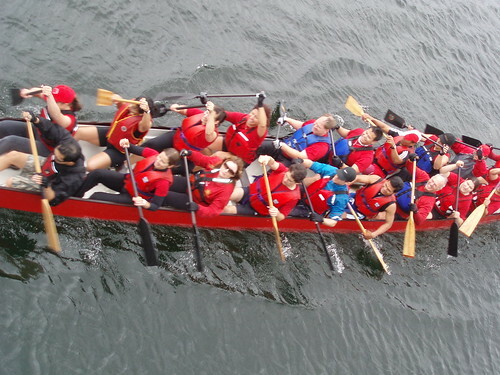 June 11-12 is the Rio Tinto Alcan Dragon Boat Festival. We need to set the roster for this race too. Each race event is separate… usually $15 to $30 depending on number of races and size of event. This entry was posted in Dragon Boat Information, Dragon Boat photos 2003, Dragon boat with Todd Wong - Dragon Boat Coach, Gung Haggis dragon boat team information, Main Page on April 17, 2011 by Todd. Forbidden Phoenix is a fantastical work of theatre, music and action choreography. It tells the story of a father and son, but as mythological The Monkey King from Chinese culture interwined with the migration of Chinese labourers coming to Canada to work on the Canadian Pacific Railroad. WOW…. I am amazed…. It is incredible! There is much to commend for this play. Actors must sing, and fight martial arts. The music is a complex blend of East and West. The minimalist set adapts easily with imagination and movement. The script is multi-layed with metaphor and humour. across the stage. He brings an intellectual Monkey King that both cares for his people, and also the emigrants who go to Gum San (Gold Mountain) to work on the railroad. His character carries the story as many plots are revealed. Grace Fatkin IS the Empress Dowager. She has a commanding presence. She is the protaganist in China, also known as Jung-Guo. Her soprano is full and rich. Kazumi Evans embodies the feminine in Phoenix. She is graceful, emotional, vulnerable and strong. Her balletic movements compliment the colourful costume which opens to reveal feathered wings. She gives a good counterpoint to Dufays' Monkey King. initially… but giving a stick of dynamite to Monkey King to play with. 3) great character and story developments. kept the attention…. just short of breath taking. emphasis on story telling and story development – more on spectacle. in China with Kissinger dancing and singing at the state dinner. Concubine's Children”, I missed Marty Chan's “Best Left Buried”. I think the Gateway orchestra is amazing. me of Disney's Mulan – which I have the soundtrack. inflections… creating both a familiarity and an exotic-ness. fresh and keep from bogging down in old stereotypes…. performed many times at the Gung Haggis dinners. me at a “First Night” show for 2005 Dec 31.
former Ricepaper editor. Mark performed at the 2004 Gung Haggis dinner. much in their own careers that their timing is knowledge is impeccable. in Forbidden Phoenix, as did the South African Christopher Kim Sing. saw at Gateway a few years ago). play, set in Canada, for a Canadian audience – so they speak Canadian! This entry was posted in Main Page on April 15, 2011 by Todd. “To Be defined as Chinese or not to be Chinese?” Is this the question? CNN's Jane Leung writes an article. Defining one's identity is an important part of maturity. It becomes complicated when racial identity is also a part of that. Jane Leung writes an interesting article about her perspective of being told she's “not Chinese enough” as well as being defined as “Chinese” by mainstream society. Having moved to Hong Kong, after growing up in Canada. She finds other Chinese people thinking of her as “second class” because she doesn't speak Chinese or know about about Chinese culture and history? How could she if she is technically an immigrant from Canada? In their perspective of the world, from the ethnocentric Middle Kingdom, being Chinese meant looking Chinese AND speaking Chinese. If you couldn't speak Chinese, you were basically regarded as stupid – even if you were technically a Canadian and very smart in Canadian culture. But imagine what life is like for Chinese immigrants to Canada… if they can't speak English, they are similarly regarded as less equal. Being “Chinese” is a spectrum, and a social construct. It means different things in Hong Kong, China, Halifax or Richmond BC, or Alberta. But Chinese emigration experiences to Canada, Australia, South Africa, and elsewhere all have similar experiences. It all depends on context. Jane Leung is on the right path. Define yourself, and don't let “others” define you. thought it was very cool. Diversity or mono-culture tunnel vision? “My Big Fat Greek Wedding” with a friend born and raised in Hong Kong. is no where the same amount when language skills are involved. I am Chinese. I look Chinese. I was born in Hong Kong. through talent I can make happen through hard work and self-discipline. Yet, if I listen to friends and family here in Hong Kong, I am no more Chinese than lemon chicken. associate with locals or their higher Chinese values. It is apparent to me that some Chinese feel “more Chinese,” thus superior to those who aren’t fluent in the language. This entry was posted in Asian Canadian Cultural Events, Canadian Identity, Canadian Identity & Heritage, Cultural Fusion, Main Page on April 12, 2011 by Todd. Do you know these 10 legendary Vancouverites? Here are my personal connections to Joe Fortes, Mary Lee Chan, Yip Sang, and Dal Richards. I learned the story about Joe Fortes when I first worked at the Joe Fortes Library when I started as a teenager. I can answer trivia questions that his baptized name was “Seraphim”, and he was one of Vancouver's most beloved life guards of English Bay. Here's a great video of Joe Fortes by Global TV's Mike McCardell. Here's a link from historia Chuck Davis' Metropolitan Vancouver http://www.vancouverhistory.ca/archives_strathconaSaved.htm. Excusion Act in 1947, and asking for redress for the Chinese Head Tax. Lachlan Hamilton, CPR surveyor and alderman might have been of Scottish ancestry, as were many of Vancouver's pioneers, but a google search isn't revealing anything so far. Sam Greer is listed as born in Ireland. Major Skitt Matthews, who started the Vancouver Archives, was born in Wales. A google search on Alfred Larwill reveals more about the history of Larwill Park, formerly the Cambie street Grounds, and now a parking lot, and the proposed site of a new Vancouver Art Gallery, where the Olympics hosted the Live City Downtown site. Interesting how 3 of the 10, were evicted (or almost) from their homes: Larwill from the Cambie Street Grounds, Greer from the CPR lands, and Fortes nearly from his shack on English Bay – if not for a blockade of 100 people. 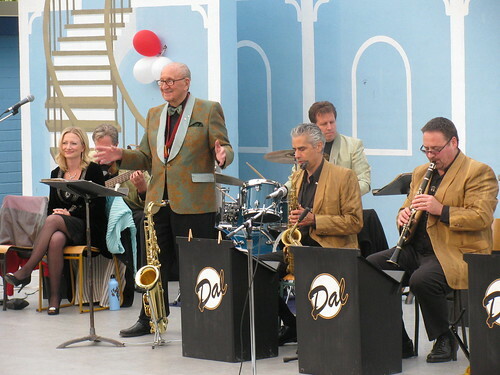 His house was moved to the present location of the English Bay bandstand, where a plaque now commemorates Joe Fortes. This entry was posted in Asian Canadian Cultural Events, Canadian Identity & Heritage, Chinese Canadian History, Chinese Head Tax issues + Gim Wong's Ride for Redress, Main Page, Vancouver Heritage and History on April 11, 2011 by Todd. A global perspective is always interesting…. How are Canadians viewed by the world and how do Canadians view the world. Liberal leader, Michael Ignatieff has viewed the world as a media correspondent for BBC and CBC, and also as a professor at Harvard University. Conservative leader Stephen Harper rarely visited another country, until he had to as Prime Minister. 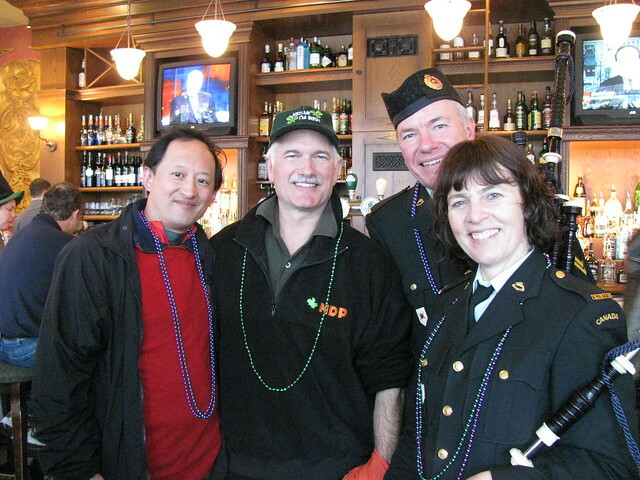 I have met Jack Layton and his wife Olivia Chow and found them both very personable and friendly. Both have a good understanding of multiculturalism, inclusion, and immigrant issues. They are such a “Gung Haggis couple” because of their intercultural marriage. Check out this article in The Tyee, by visiting Brit Aleeza Khan. likes Canadians and our cultural customs, a lot. particularly younger ones like me. Can I share some observations? 1. In England, we feel the need to like our prime minister. You apparently don't. 2. In Canada, the prime minister says coalitions are evil. In the UK, the prime minister owes his job to one. 3. In Great Britain, candidates want as many people as possible to vote. Not in Canada. 4. Back in England, younger people are a lot more politically engaged than here in Canada. This entry was posted in Main Page, politics and politicians on April 10, 2011 by Todd.